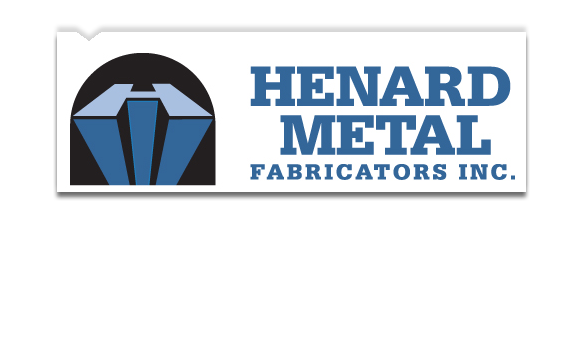 WELCOME TO HENARD METAL FABRICATORS, INC.
Henard Metal originated from very humble beginnings. My brother, Robert and I borrowed money from our grandmother to buy an aquarium stand business that Robert worked at while attending college. After we bought the business, I became the clean up man, grinding and painting the finished product and Robert was the welder. We named our new aquarium stand business Henard Ornamental Works, not realizing that potential customers believed “ornamental” to be synonymous with “handrails”. As with all new businesses we struggled to make ends meet. Robert and I were both attending Graham Bible College full time, therefore we worked evenings and Saturdays to fill work orders. The aquarium stand business was manufacturing busy work, but it also provided our initial basis for cost estimating and job evaluations. As time passed instead of aquarium stands we began fabricating handrails and stairs. Eventually Robert and I took a leap of faith and devoted ourselves full time to our growing business venture. We became proficient at job costing to the inch of material used and labor hours spent, to evaluate if profits were being generated from each sale. As simple as it may sound, we continue to evaluate each project the same way. Profits that were earned were put back into the business in the form of better facilities and equipment. In 1980 we changed our name to Henard Metal Fabricators Inc. with the intention of broadening our market in the fabrication industry. Shortly thereafter we bid, and were awarded, a 380 ton contract for a retirement center (about 10 times larger than any previous work). Because of God’s providential care, we manned up and worked 24/7 till the project was completed. We have retained this basic foundation of steel fabrication…schedule is critical and we do what we need to do, without compromising quality yet meeting the owners schedule. We have always been dedicated to hard work and when you are working with your own money you become a willing learner. We have many to thank for our success as a company, especially my mentor Bill Wood, who subcontracted part time for us for nearly 30 years. One of the most important things I learned from Bill is that owner, architect, structural engineer and fabricator are working toward a common goal of finishing the project and if a problem can be solved on paper by the fabricator, it can eliminate a lot of headaches in the field for everyone. Our emphasis has always been on doing it right the first time with detailing and fabrication because you never have the money or the time to do it twice. My college major was in Christian Education and although I was not taught engineering, calculus or trigonometry, I had to learn it by the “hands on” and “seat of your pants” methods. From my parents and Graham Bible College, I was given a foundation in ethics that I use every day. My job as president and CEO of Henard Metal is to focus on better ways to become more efficient and effective in completing projects awarded to us. We enjoy our work, even though we have our good days and our bad days. We are proud of what we have accomplished. We have great employees, with very little turn over. We have fun, yet when it comes to our work we are very conscientious, we strive for the best product possible and total satisfaction on the part of our customers. We want to thank Robert for his 43 years of service as owner, partner and quality control manager here at Henard Metal, among other titles that accompany an owner of a business. Some of you will miss his unique way of answering the phone, his pranking of those who showed up at the shop and could not find their vehicles when they left, or the friendship he had with many of you, the customers. We will miss him immensely but wish him all the best in his retirement career. He now has time to hunt and fish and not think about the shop, deadlines, and all the things that occupy your mind when you are ultimately responsible. It won't be the same without you.